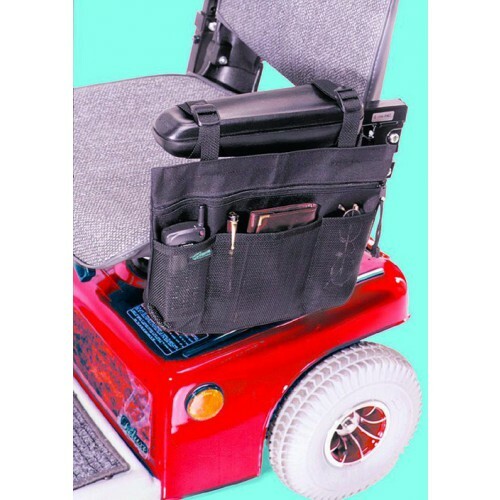 Mesh pouch with pockets attaches easily to side area of scooter arm. 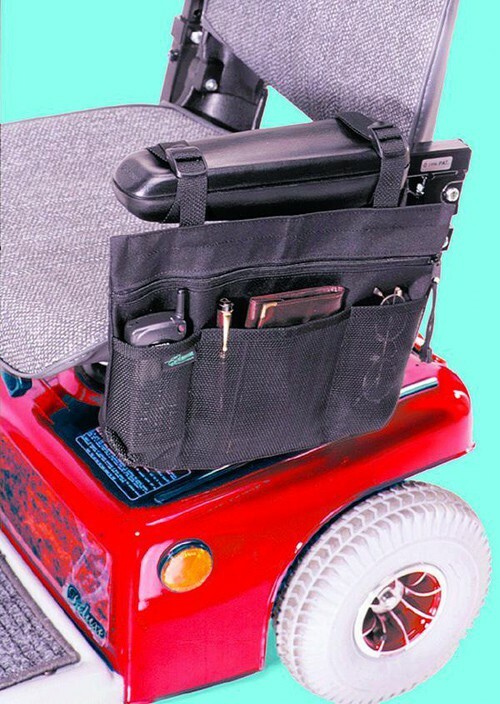 Allows immedicate access to all valuables and personal items. Black. vendor was reliable, product is exactly as advertised, prompt shipping, price was a lot less than similar products. I would definitely buy from this vendor again.